Any appraiser who has worked with Appraisal Management Companies (AMCs) is likely familiar with the “order by email-blast” system that some AMCs rely on to fill orders. The process goes like this: an AMC sends an email blast to all appraisers within a given area, detailing a particular property and offering a certain fee for the completion of the assignment within a prescribed time frame. Depending on the AMC, the email may or may not clearly include a scope of work and offer additional information about the property to help appraisers make an informed decision whether to accept. 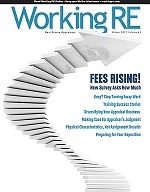 Appraisers receiving the email are then faced with a choice, accept the assignment as-is, and the fee being offered, or “counter” with a higher fee. The question raised by many seasoned appraisers familiar with this type of ordering system is what kind of quality does such a “low-bid” appraisal ordering system produce? The AMCs who utilize these systems insist their entire panel is vetted so that any appraiser they work with will do a good job. Some appraisers are not so sure. 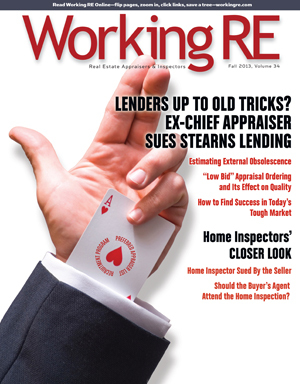 James Johnson (not his real name, he fears reprisal from AMCs and banks), an appraiser in New York with 25 years’ experience, provides a unique perspective on the issue and tells a story that may resonate with many appraisers.